Together, Dr. Lewin and his cardiology colleagues decided he should undergo angioplasty, a procedure to open blocked or narrow heart arteries, and have three stainless steel stents inserted to help prevent his arteries from becoming blocked again. And the cardiologist-turned-heart patient admits he’s faced some challenges in following the advice that he has given his cardiac patients all these years. He added that his personal experience with cardiac rehab now helps him relate better to his patients. Psychiatrist Dr. Robert Klitzman wrote a book called When Doctors Become Patients inspired by his own poignant tale of illness. After his sister died on the 105th floor of the World Trade Center on September 11, 2001, his body gave out. He couldn’t get out of bed. He developed what felt like the flu. Even though he’s a psychiatrist, he now claims he resisted the notion that he was suffering from depression. Later, after acknowledging his illness, he gained new insight into his own patients. He was amazed at how pronounced the physical symptoms of depression really were. This oncologist now considers herself a woman with a mission. She sees other breast cancer patients three days a week, but she devotes four days a week to the site, which draws millions of visitors from 250 countries each year. She has written four books on breast cancer and breast health for a general audience. “On one occasion, I asked a senior resident to clean my obstructed tracheotomy tube. He reluctantly complied, but did it without using a sterile technique and flushed the tube using tap water. The tube he wanted to place back was still dirty, and when I asked him to clean it better, he abrasively responded: ‘We call the shots here!’ and left my room. “I learned more in the months of being a patient than I did in all my years of medical school. It was a completely different experience being on the other side. What appears to be apparent and direct and straightforward for a physician is often fraught with complexity and uncertainty for a patient. “I remember as an intern and resident, patients would come into Emergency with severe back pain, and half the time we would shrug and say they were a bunch of slackers and malingerers who wanted to get out of work. We had no idea. These “lessons” learned are the actual reality, over and over and over again, for those of us who are the frequent flyers of the health care system due to a chronic illness like heart disease. “I’m no longer surprised now when I read physicians’ shocked accounts of learning firsthand what it feels like to become a real live patient. “No matter how many years of clinical experience working with, caring for, and listening to their patients they may have, physicians and other healthcare professionals inevitably report a “Eureka!” moment when facing their own health crises. “They announce to their colleagues, for example, that hospitals are demoralizing, medical procedures frightening, lack of dignity embarrassing, symptoms distressing, dependence humiliating, the simplest of tasks exhausting, anxiety relentless, their past as a healthy person but a dim memory, and a future looming bleak and uncertain. Most docs just don’t get this – unless they, like the physicians mentioned above, have actually had to lie there – helpless, dependent, sick, confused, frightened – on that hospital bed and desperately ring the nurses’ call bell that will not be answered. And by the way, when physicians become patients – particularly in the U.S. – they can afford far better medical care than any of their working-class patients can. Physicians are certainly not sharing the experience of one Oregon heart patient, for example, who told me she is fighting off collection agencies and trying to pay off the $60,000 still owing from her previous hospital visit four years ago. See also: Melissa Mia Hall, Who Could Not Afford Health Insurance, Dies of Heart Attack. Not that I would wish a serious medical condition upon any human being, but becoming a patient seems to be one priceless and unforgettable form of medical education that so far can never be taught in a classroom. ♥ This article was also picked up as a guest post by KevinMD. Fortunately in England we don’t have the worry of medical bills. I can’t imagine what that must be like. Another must read from Heart Sisters! Brava! Brilliant overview of how walking in the patient’s hospital booties gives doctors a unique appreciation of what their own patients go through. But it’s still a very limited appreciation – privileged doctors for example rarely worry about how to pay their hospital bills when they become sick, unlike their patients. 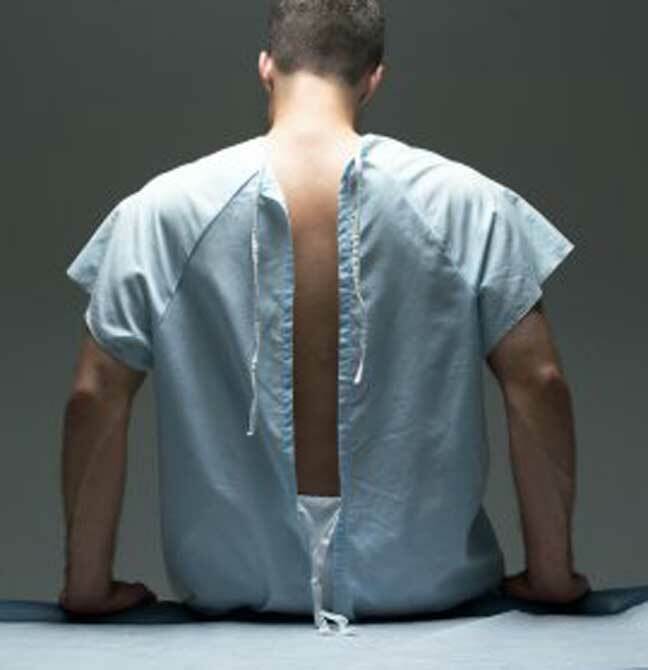 Many docs have actually found that we are treated worse than non-physicians when we become patients. Nurses especially seem hyper-vigilant in treating us like demanding “know-it-alls.” Don’t assume that docs get any more preferential medical treatment than anybody else. Far from it in fact. I do not have heart disease but I do have asthma, which can be a similarly terrifying condition during a severe attack. I’ve been in and out of hospitals several times over many years. Most doctors have been efficient and kind, but others have been rude or even dismissive. Every E.R. doctor should have to suffer just one major asthma attack before being allowed to practise medicine. They would never treat asthma patients the same after something like that. I agree – I think a doctor who has had considerable experience being a hospital patient can’t help but have a more realistic and empathetic perspective on his or her own patients. BUT two of these doctors (both needing only acute care short-term medical attention) don’t likely have any more insight into what we heart patients or others with CHRONIC DISEASE experience. Only a heart patient could really grasp the true terror of an episode of chest pain or other cardiac symptoms with all possible overwhelming interpretations, both physical and emotional. And of course none of these doctors lie in their hospital beds worried sick over how on earth they’re going to be able to pay their medical bills.